Every year we hold an Audition Prep Clinic to prepare high school dancers for their collegiate debut! This is a great opportunity to meet the team and get a behind the scenes view in to the audition process. Take a look at our Audition Prep Clinic page for more details! Be sure to spot us at Saint Joseph University Events like Open Houses, Admitted Students Day, and SJU men and womens' on campus basketball games! Whether you are attending an Open House or visiting during the week we will do our best to meet with you and give you additional insight in to our program. 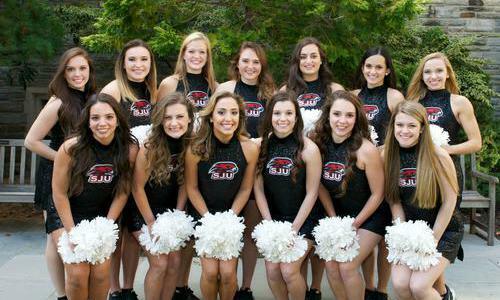 If you are unable to meet with us during your visit to campus be sure to reach out to us at sjuhawkdancers@gmail.com to schedule an informal visit to campus with one of our current SJUDT members.